Project managers typically find themselves at odds with time, so the allure of using one mobile device to perform nearly all daily tasks is strong. The iPad and its legion of project management applications seek to consolidate all electronic devices into one while keeping all the advantages of mobility with long battery life. Almost any of a project manager’s needs translates into a choice of several applications. 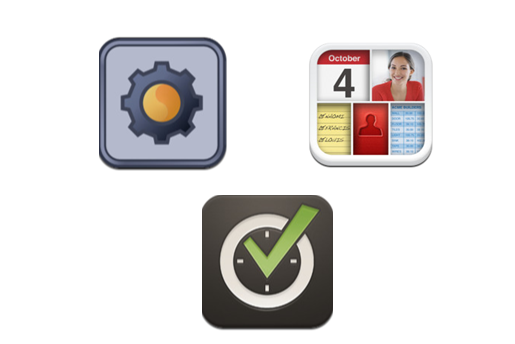 This article will highlight three of the most popular project management apps for iPad. Nozbe ($9.99) offers an elegant and easy user interface, the ability to share projects, seamless cloud integration, and active customer support. The app includes a cloud-based sync feature for all nozbe.com web-app users, as well as three features that prevent it from just being another electronic to-do list. The “Projects” feature allows the user to organize groups of actions together, while the “Next Actions” option lets one choose which actions to perform in the present or in the future. The “Context” feature enables the user to organize all tasks according to the task’s locality, devices, and required people. Nozbe isn’t without weakness; it lacks saved searches and user-defined views. Bento ($4.99) functions as a collection of database templates to aid in the organization of contacts, notes, and projects, among many others. Although not a dedicated project management app, Bento can aid PMs by tracking projects, deadlines, and tasks. It also fosters collaboration, allowing all iPad-using team members to share project plans, event details, contacts, and other information with as many as five Bento users on a LAN. Finally, Bento can synchronize discrepancies between existing contact and iCal information. Because Bento is more of a personal organizer, it lacks the more sophisticated capabilities of other apps, such as database file-sharing and network support. SG Project ($9.99) offers PMs one of the most feature-robust apps, though they will need to upgrade to SG Project Pro ($39.99) for full functionality. The basic app tracks tasks, grants supporting table and Gannt views, and exports files to PDF and XML formats. Report view options include headers, overdue and approaching items, and tasks. Users may organize activities by project or data, and the software has a print-preview feature not often found in PM iPad applications. Regardless of the edition, some users will find the UI’s non-standard (for iPad) look unsettling, though the easy UI will reward those who press forward. Project managers will find a host of project management apps for iPad designed to store, organize, and share information. Nozbe, Bento, and SG Project are among the most popular because of their utility and relative ease of use, but PMs are well advised to use them as a starting point before researching additional applications. The final choice often amounts to personal preference, work habits, environment, and the PM’s business needs, though it is incredibly unlikely that one single application will meet all of his or her requirements. For more information about enterprise mobile application development, visit Magenic who have been one of the leading software development companies providing innovative custom software development to meet unique business challenges for some of the most recognized companies and organizations in the nation. You can use it to manage your goals, projects and tasks, set next actions and contexts, use checklists, and a calendar. Syncs with Evernote and Google Calendar, and also comes with mobile version, and Android and iPhone apps.